Some days we just don’t make it to the beach hut because we have to have at home days where jobs need to be done and last Saturday was one of those days. These type of days are a little win for me as my husband is not so keen on decorating jobs, he’d rather be at the beach hut. 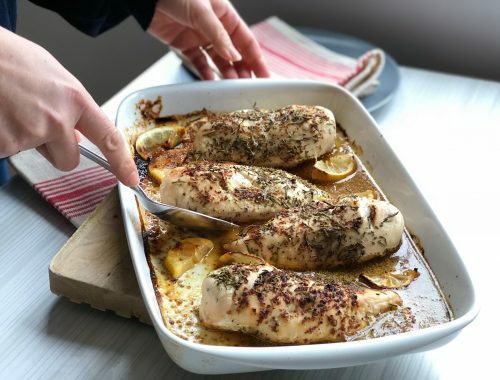 However, on these busy ‘at home’ days raiding your cupboards to make a well earned family meal is a double win especially as I stocked up online with delicious store-cupboard ingredients, which were delivered by Ocado earlier in the week. All done with the click of a button and delivered at a time that suited me. When I am on holiday abroad I really enjoy looking around the supermarkets and reading all the packets on the shelves and deciding what I can fit in my suitcase to take home. Often deciding not to risk it and putting most items back. However, shopping online with Ocado takes all the guesswork out luggage allowance roulette for you. Ciao Gusto which is a group of around 30 authentic Italian food and drink brands that have come together, and now offer a one-stop place to shop for real Italian ingredients on Ocado. How’s that for a win? 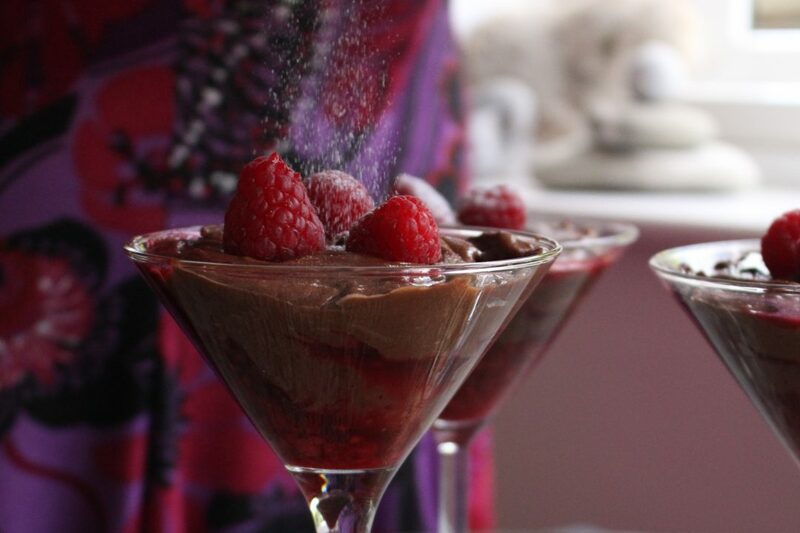 A proper sit down meal is a great marker to the end of this type of jobs day and these Chestnut, Chocolate and Raspberry Pots make a winning finale. I am always seeking easy recipes that disguise themselves as complicated and that’s what this dessert does. It’s just a mixing together of melted chocolate, Santa Rosa chestnut jam and whipped cream. 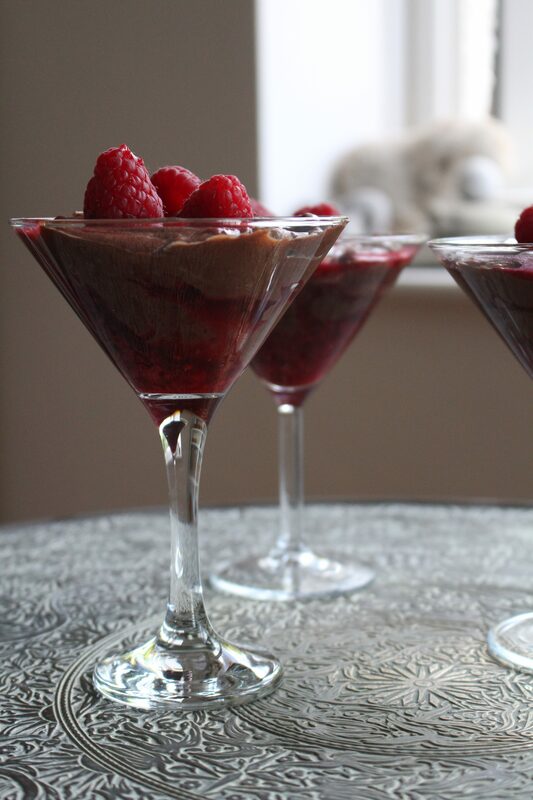 I also must add that you can easily make this recipe feed 8 in smaller glasses as it’s seriously rich and filling. 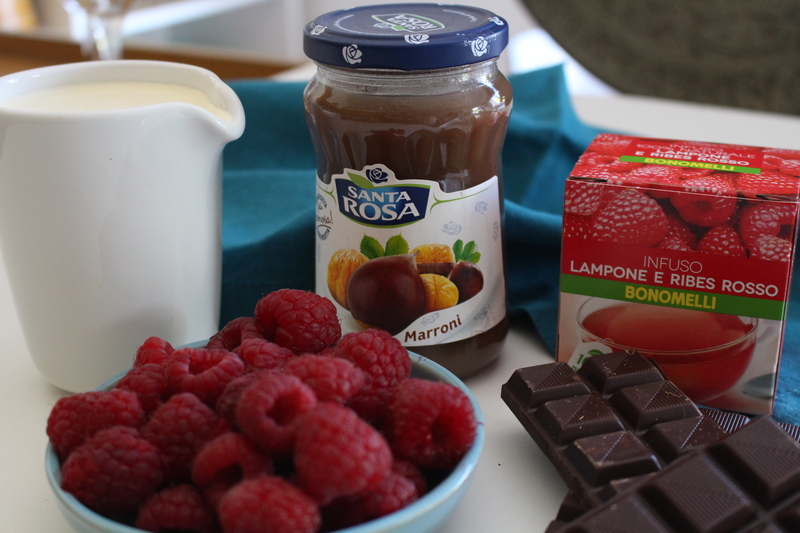 For the sauce, you can substitute the fruit with another should you wish but I added a Bonomelli teabag to my raspberries as they were a little on the sharp side and lacked flavour. Flavoured teabags are the secret to maxing out that flavour. Tea maker: Bonomelli were founded over 100 years ago in Milan and are famous throughout Italy for their Camomile infusions. 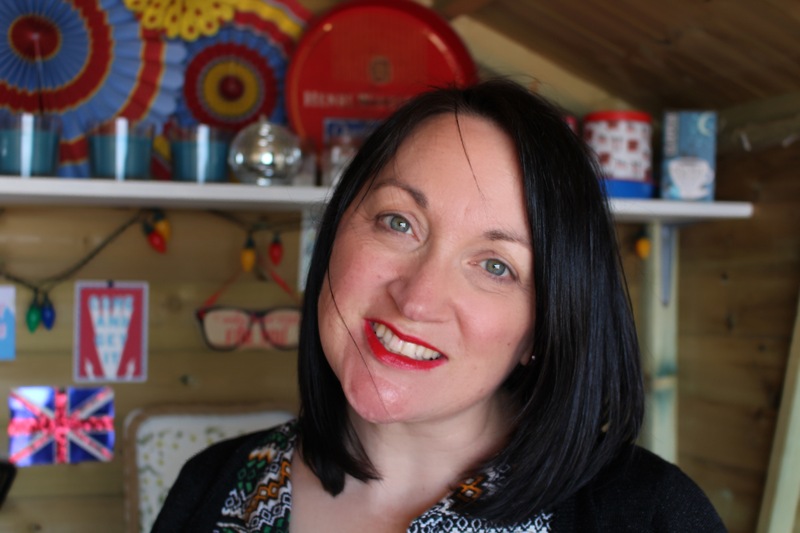 They now also offer such delights as Lemon and Seabuckthorn tea and Raspberry and Redcurrant tea as I used in my raspberry sauce. Jam producers: Santa Rosa for nearly 50 years have been perfectly preserving the natural taste of the harvest with their fruit-packed jams. All jobs complete and there was even time for a late afternoon stroll to the beach hut watch the sunset. Feeling full from our meal and happy the worst of the decorating jobs done – I think we all won in the end. 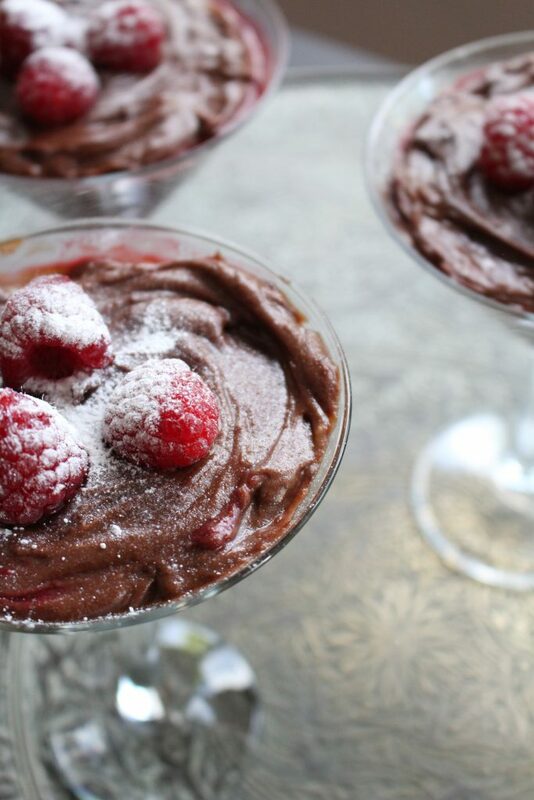 Make the raspberry sauce first so this can be cooling while you make the chestnut chocolate mousse. In a small saucepan add most of the fruit, keeping some back for decoration, sugar, teabag and 1-2 teaspoons of water but no more otherwise it will be too liquid. Cook for 2 minutes until the sugar has dissolved and the fruit just cooked. 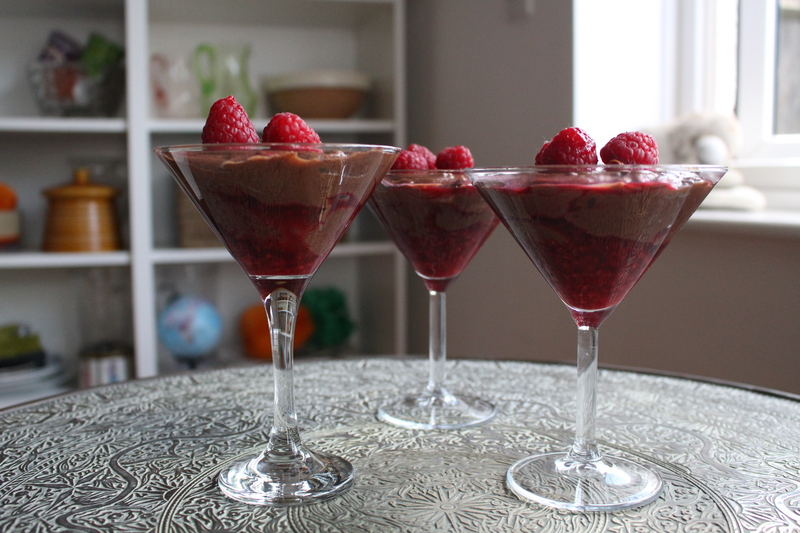 Pour into the bottom of your serving glasses and then allow to cool fully before you add the mousse. Melt the dark chocolate in a bowl over barely simmering water until melted. Set aside to cool a little. In a large bowl mix together with the chestnut jam or puree and set aside while you whip the cream. Whip the double cream until soft peak stage and carefully fold into the chestnut chocolate mixture. 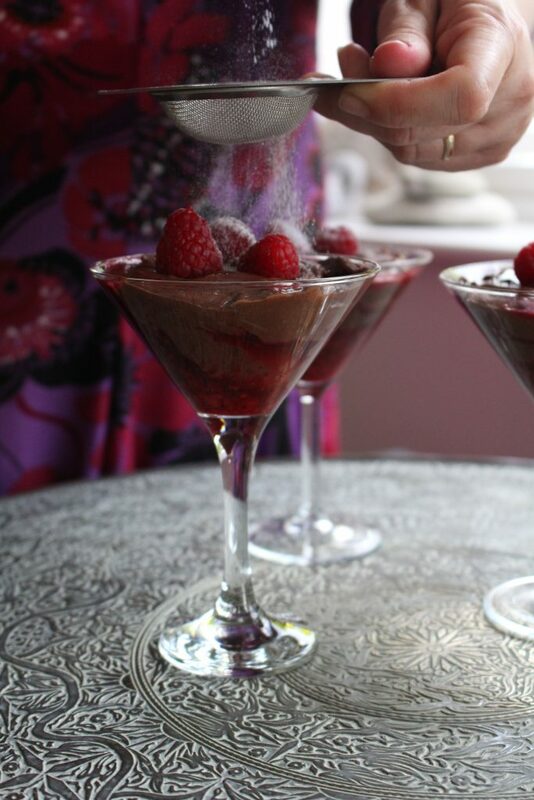 Spoon the mixture over the raspberry sauce and top with a few fresh raspberries and a flourish of icing sugar on serving. 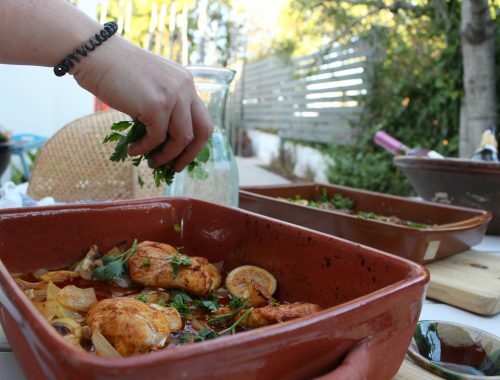 Tip: if making in advance and refrigerating then remove beforehand to allow to soften. This looks AMAZING! This is something that I definitely would make for a dinner party! these look absolutely delicious , i have saved this page as I am going to give them a go and make them,. Look like such a posh dessert. I’m not big on desserts (gasp, I know) but I like making them because both my daughter and husband love dessert and this looks like something that they would eat in one gulp 😉 Saving this for future use. It’s seriously rich so it would make a lot in little pots! 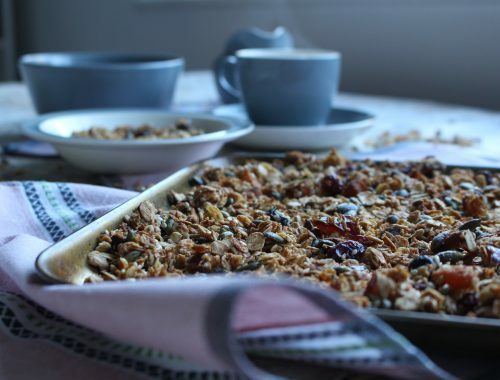 Oh my goodness can I please just leap into your blog and eat one of these now please? The looks utterly divine! This recipe looks amazing – I was actually given a pot of chestnut jam recently and had no idea what to do with it!! They sound amazing!! I am going to pin this for future! How tasty do these look! Can I eat this for brekkie lol! WOW these sound and look lovely – I’m a sucker for raspberries and for chocolate so these are so tempting. I had no idea you could purchase real Italian stuff from Ocado. You learn something new every day! Yes and I’m hooked on ocado. It’s like being in a supermarket like on holidays ! These look so good, need to try them! is it really wrong that I want to face plant one or maybe all of those?! Send one my way pleeeeaassseee!! I knew this was going to be amazing without even seeing the photos. OMG just the title had me drooling. I often make a really simple dessert with a prebaked pastry case and use a posh jar of something to fill it, but it’s not easy to find the best ingredients for that. What a brilliant idea to bring in specialist products. To be fair, I would have guessed Ocado would be the ones to supply the special ranges. Oh my days! You had me at the title. I’ve never heard the teabag tip before! 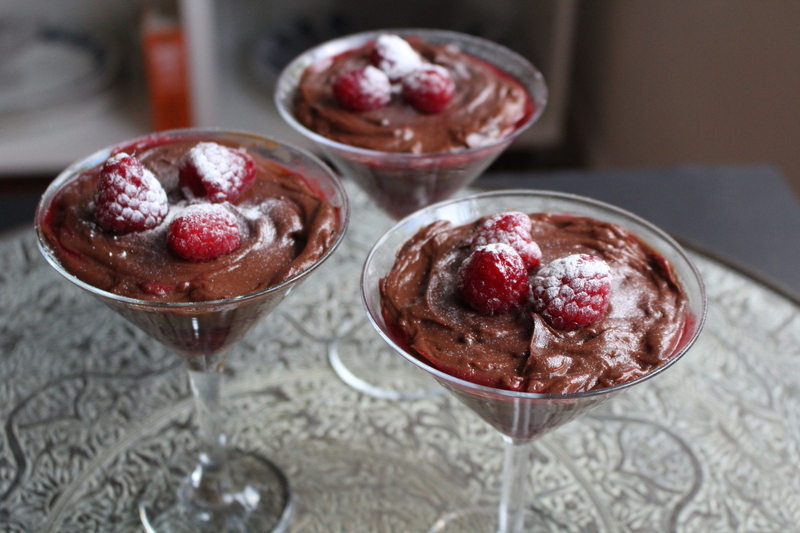 Definitely giving these a go, chocolate and raspberry are the best combo! Don’t these just look amazing. I am definitely going to give these a try myself. Than you for sharing these. Ooh, chestnut jam sounds absolutely delicious, can’t wait to get my hands on some. These look super tasty. I have not tried chestnuts before but it i think i’d love it! Omg, these look insanely good. Definitely, something I have to do at Christmas. Love me some chocolate and nut combination. 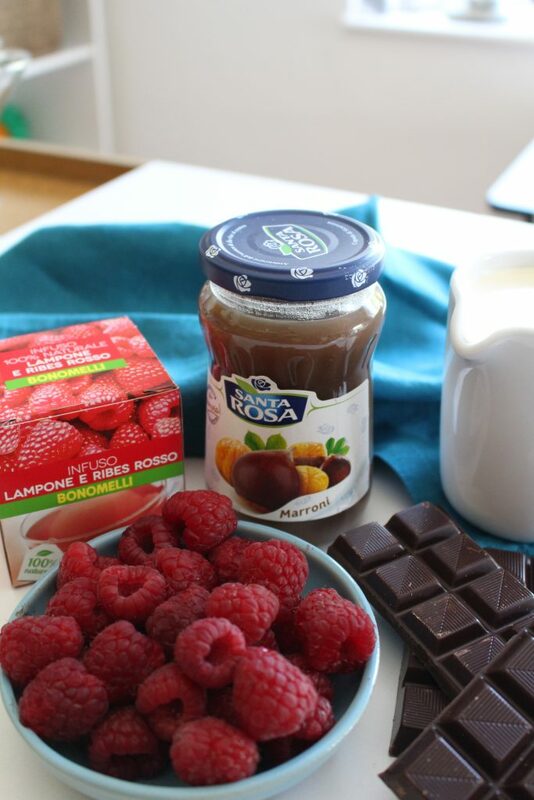 You can never go wrong with a cholcolate and raspberry combo. I need to make this for a treat now! WOW these look delicious!! I’ve never had chestnut jam before but I saw the word chocolate and I’m in!! These look super delicious! I don’t think I would even share these with anyone lol. I have to try these at home! You had me at chocolate, but these look AMAZING! I definitely need to try them! These look and sound delicious. I love the idea of using tea to boost the fruits flavour, I’ll definitely be trying that out for myself. 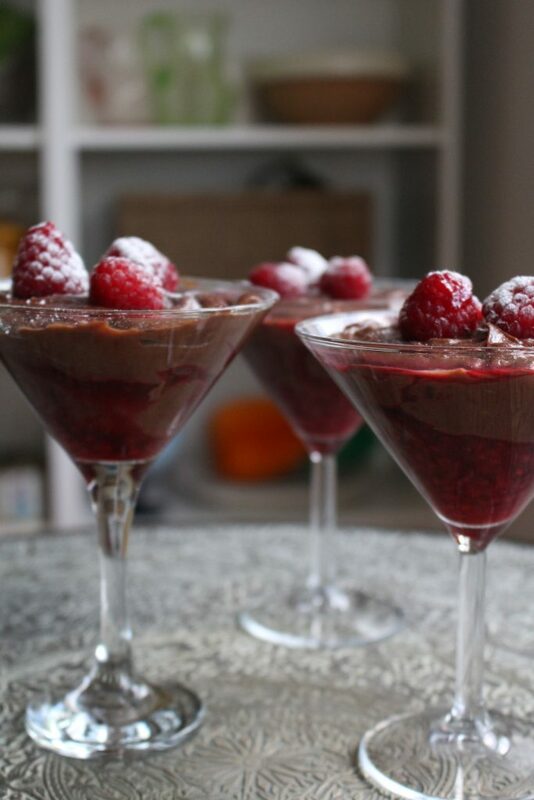 Oh my these look absolutely delicious and chocolate and raspberry is a classic combination. So Yum! I always look for delicious recipes but do nothing other than saving them! 🙂 Should give it a try! That jam is going on my to-buy list! Oh my goodness! These look so delicious! I can’t stop eating chocolatey things lately! I adore chocolate and chestnuts together. These pots sound so luxurious I can almost think of nothing else now. I like your tip on adding a fruit teabag to bring out the flavour of the raspberries. Thanks for sharing with #WeShouldCocoa. ps – I couldn’t see the link to We Should Cocoa? Oh wow! How scrumptious do these bad boys look. Oh Elinor these look amazing!! Can I have one for breakfast? !